How do I complete the Fortnite week 10 challenges? As we reach the end of season 5 we have a final set of Fortnite challenges to tackle. Battle Royale players who have tackled their fair share of challenges before will be pretty familiar with the kind of challenges on offer, but we’re here to help you rake in the Battle Stars as quickly as possible. 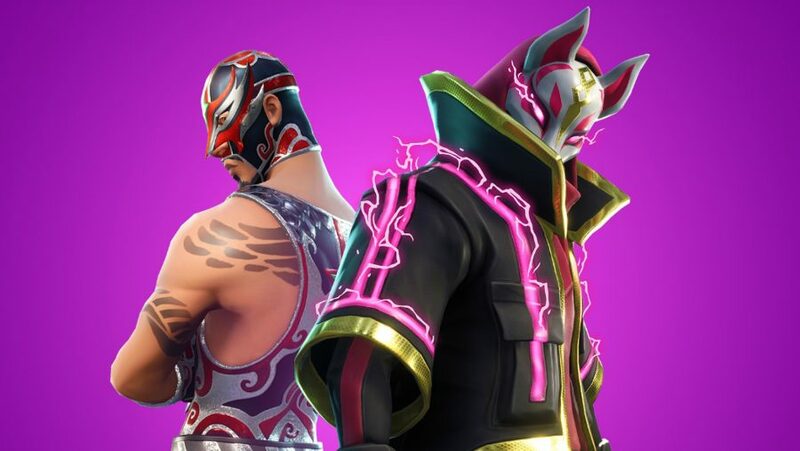 Once again we have three free challenges and another four only available to owners of the Fortnite Battle Pass, Epic’s premium progression system that rewards paying players with extra cosmetic goodies. As is typically the case, the Fortnite week 10 challenges have been leaked by @siloxleaks ahead of time, so be warned the following challenges are subject to change. That said, we’re pretty convinced that this is what the Fortnite week 10 challenges will look like. It’s crucial that you get cracking early, too: the Fortnite season 6 release date is approaching fast and, when the current season finishes, the past ten week’s of challenges and their potential rewards will most likely be wiped. But we’re here make sure you get the maximum number of Battle Stars, so here’s our Fortnite week 10 challenges guide. We’ve made a special guide of all Fortnite Jigsaw Puzzle Pieces locations to help you with this challenge. Just pick up seven of them and five Battle Stars are yours. This is a really simple one, just consumer 20 apples or mushrooms. Make it even easier by dropping in forested areas such as Wailing Woods and Lonely Lodge where Mushrooms especially sprout up all over the place. One elimination per Battle Star. For ten kills you can have that exact number of Battle Stars, and you can do it with any weapon or trap you like. Many Fortnite challenges that require eliminations restrict you to a particular weapon type, so this is much easier. Salty Springs is this week’s chest location and there are about 16 spawn chances in total. You only need to find seven in total and most of which are in the house to the west of this area. This might sound like a lot of damage to deal, but it can be with any weapon you like and over as many matches as you need. If you go into a busy area guns-blazing, even if you die, the damage you land still counts toward completion of this Fortnite week 10 challenge. Once again, we’ve made this ‘hard’ challenge a piece of cake by a making a written guide to help you find the Fortnite search between a covered bridge, waterfall, and the 9th green location, with a video for it which you can watch above. This is another stage-based elimination challenge which rewards you three Battle Stars for each level you complete. Once you’ve scored a kill in Pleasant Park you must get one each in Wailing Woods and Lucky Landing so you can grab yourself the maximum of nine Battle Stars.